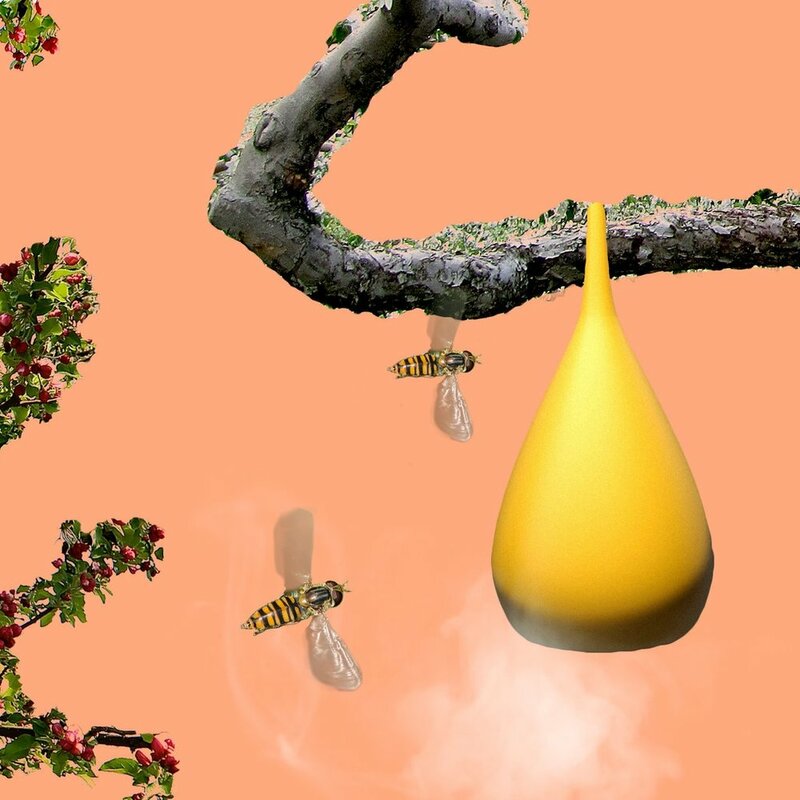 Greg Orrom Swan, Louis Alderson-Bythell, Tashia Tucker and Sam Roots won the RCA Biodesign Challenge 2017 and will present their project POM: an agricultural technology that encourages flies to be more efficient pollinators. It is designed for a world in which bee pollination is no longer viable, due to declining bee populations. Flies already play a major role in pollination, accounting for about 30% of pollination overall and a far higher proportion in cities. Flies make more visits to flowers than bees, but the chances of a visit resulting in successful pollination is lower. POM lures flies using a controlled release of pheromones from a remote-controlled node, which clusters them around the flowers needing pollination. Nodes distributed throughout the farm enable this ‘cloud of flies’ to be shepherded from one region to another, covering all the blossoms that might be in flower at that point. POM ensures both efficient pollination and fruit harvests in the future.